The Easter bunny is pretty well known for all things candy, marshmallow, and chocolate. 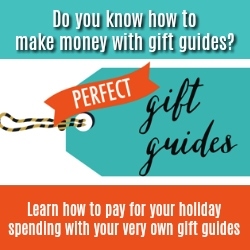 But, if you have a friend or family member who loves to eat healthier and looking for a gift idea for a dieter, here you go! 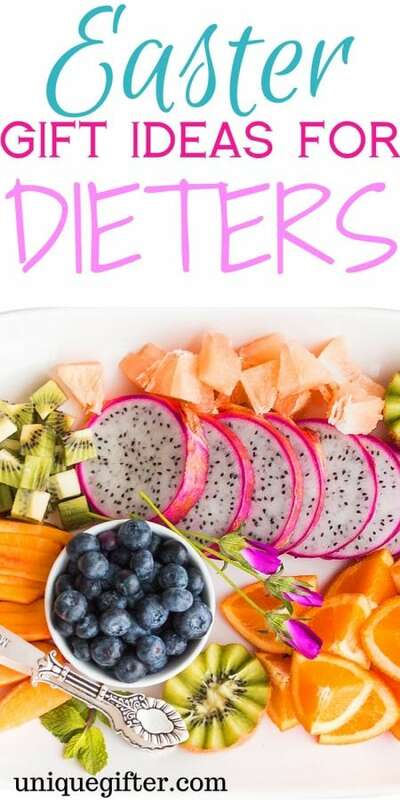 I have gathered 20 perfect Easter gifts for any dieter. Create a basket full of fun goodies any dieter can use and incorporate into her daily life, or a gift that is perfect all by itself! Here is a good snack option, it is full of dried fruits and nuts. Perfect snack for your friend or loved one to enjoy. 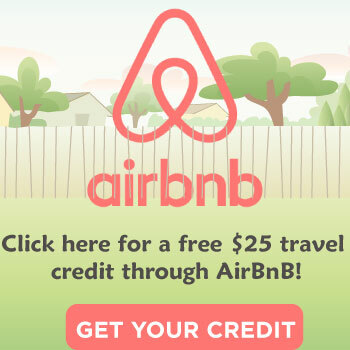 Great to send online or buy and give in person. If your friend loves to cook, give her some nice stainless steel measuring spoons. As a person who likes to bake, you can never go wrong with kitchen accessories. Here are some diet magnets that have little quotes and sayings on them. It will for sure give them a few laughs when they read them. You can never seem to drink enough water when you are dieting, so why not give a little hashtag love. Here is a fun water bottle. Here is a funny sign to let your friend get a laugh. Some diets make you “hangry” so give a little laugh gift for your Easter gift. If your friend or family member is on the Keto diet, here is a fun shirt. I love the black paired with the white. They can wear it when they workout or for errands. I love a comfy hoodie, and this one is perfect. Let them know it is okay to have a cheat day and sneak a chocolate covered bunny on Easter if they want. If you have not tried making zucchini spiralized to replace pasta noodles, you are missing out. This is great for lower carb dieters, and they will enjoy trying a new take on dishes. This book is awesome, it helps you get the right mindset to tackle your diet without feeling overwhelmed or losing your mind. A great read for sure. 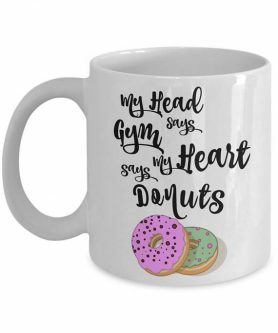 Give a silly coffee mug to bring a laugh and be a fun cup for them to sip coffee or tea out of. I love this mug, it is so cute. 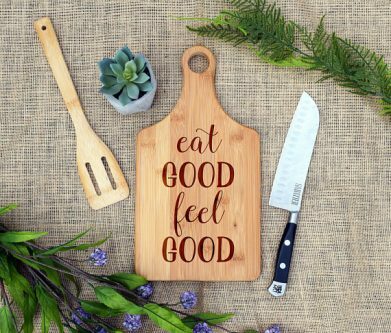 I love this cutting board, it is well made and has a neat quote on it. Great for them to use to cut up there fresh produce and prep meals on. Here is a really nice duo salt and pepper grinder. This is a great gift because having salt and pepper to flavor dishes can make the food taste so much better. I love this herb saver, it allows you to take fresh herbs and preserve it a bit longer than just storing in the fridge. You know if you are on a diet, seasoning and herbs make a dish taste so much better. If you are on a diet, most of the times you eat just whites. Give this separator to help move the whites from the yolks, in an easy way. 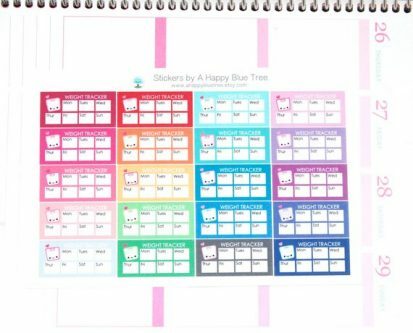 Here is a great gift to keep track of the weight they have lost so far. 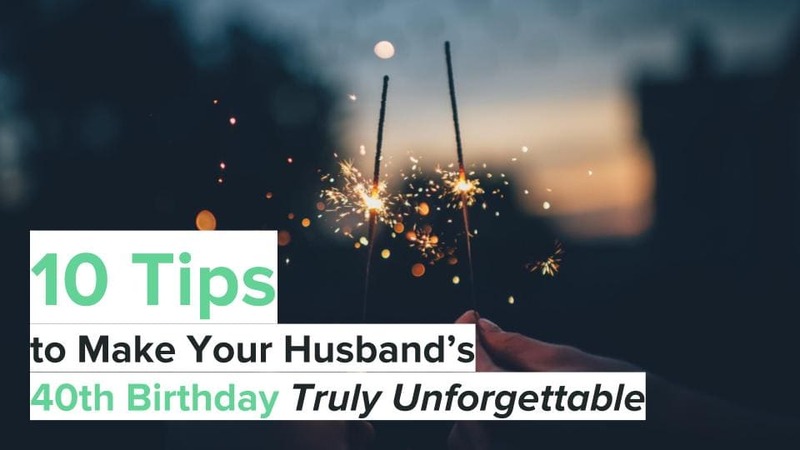 It is so fun and a great way for them to stay determined on those harder days to see the progress. This tumbler is absolutely adorable. 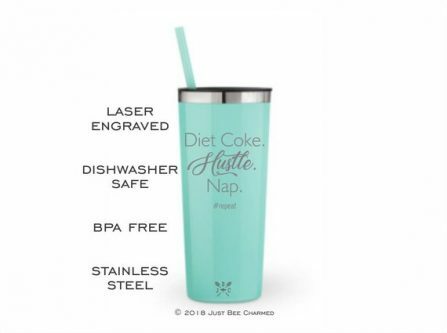 Perfect for any Diet Coke lover who works hard. I totally need one of these. 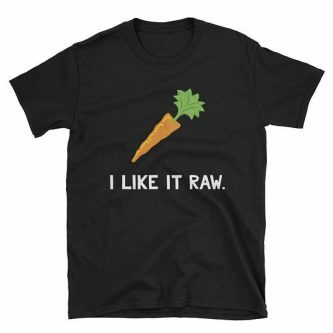 If you know a vegan here is a really funny and fitting shirt. This is a very cute shirt, that will give everyone a chuckle or two. Having a good detox tea is great, it helps flush things out of your system and leaves you feeling much better after a heavy meal, or to drink on occasion to clean your system. 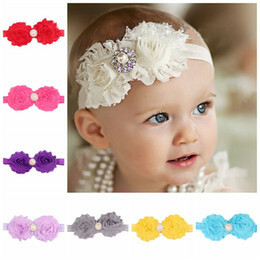 Okay, these are so adorable. 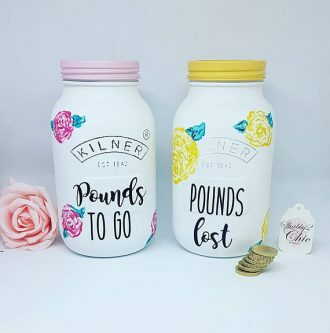 Beautiful to display on your dresser and drop in coins or something else to keep track of each pound! 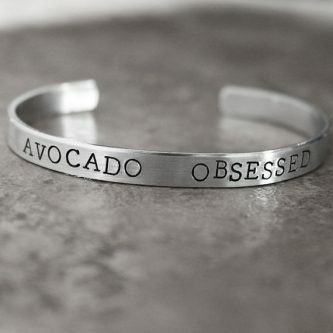 If your friend or family member loves avocados, this might be a perfect bracelet. I love the simple look that would look great paired with other jewelry and even a watch.